The STARTER BikeFit System for iPad/iPhone App is the BikeFit Pro's key to success. 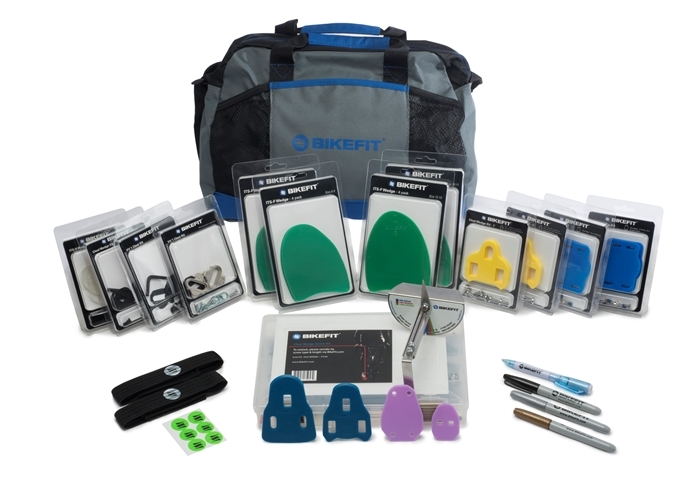 The STARTER BikeFit System for iPad/iPhone App includes a sampling of everything a BikeFit Pro needs to complete a full foot/pedal assessment- THE most important connection to your bike. New for 2018: Includes the Forefoot Measuring Device. This bundle does not include the EDU COMBO (Manual: When the Foot Meets the Pedal and online training course). The EDU COMBO must be purchased separately or obtained at a hands-on training seminar. The STARTER BikeFit System for iPad App is the BikeFit Pro's key to success. The STARTER BikeFit System for iPad App includes a sampling of everything a BikeFit Pro needs to complete a full foot/pedal assessment- THE most important connection to your bike. BikeFit iPad App is not included and is available at the Apple iPad App Store.